Beacon’s jousting match with a business owner over signs hanging from his warehouse may soon end, as city officials have begun crafting a law to replace one that they concede is likely unconstitutional. 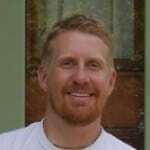 Jason Hughes, who co-owns LNJ Tech Services at 4 Hanna Lane, has sparred with the city for more than a year over political banners hung on the side of the warehouse, which faces Route 52. 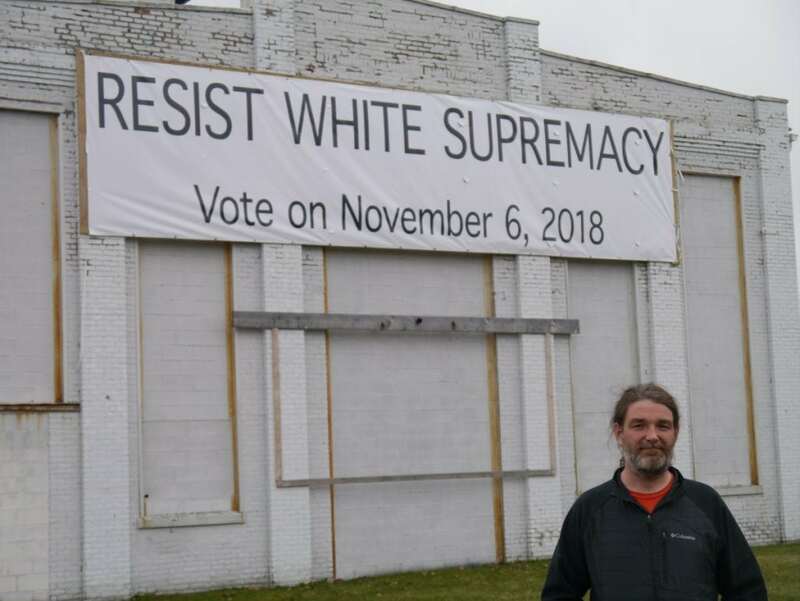 In March, Hughes hung an 8-by-34-foot vinyl sign that read “Resist White Supremacy; Vote on November 6, 2018.” City building officials, citing its size and the lack of a permit, ordered him to remove it or face fines of $1,000 per day. Hughes, who also co-owns Ella’s Bellas at 418 Main St., argued that the sign was protected free speech and he was being singled out. He took down the banner in April but hung a new one the same day that reads, “You have the right to free speech (*as long as you’re not crazy enough to use it). 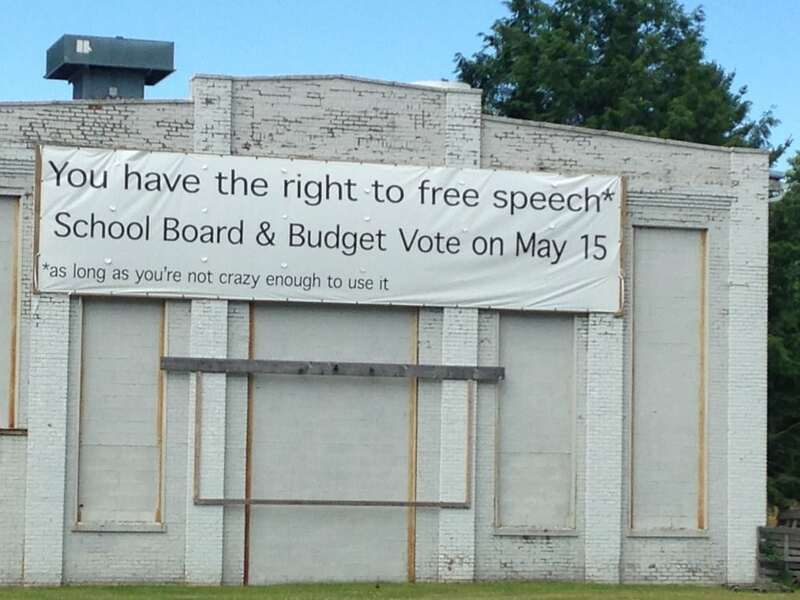 School board & budget vote on May 15.” An earlier banner — “No Hate! No Fear! Everyone is welcome here” — had been affixed to the warehouse for nearly a year before Hughes removed it in January. 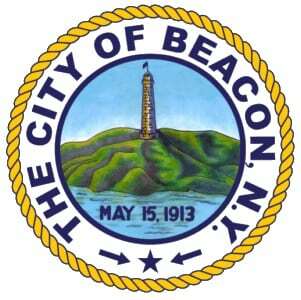 On June 11, the Beacon City Council discussed amending its regulation of signs after City Attorney Nick Ward-Willis explained that the existing language is likely unconstitutional. The U.S. Supreme Court ruled in 2015 that municipal sign restrictions must be content-neutral. Calling the decision “a bane for municipal attorneys,” Ward-Willis pointed out that cities can only regulate signs with regard to the time, place and the manner by which they are hung. He argued that a city should have the right to consider content — “You’d want to regulate a house for-let [sign] differently than a carnival sign” — but that the Supreme Court viewed it differently. 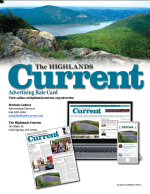 Although the city has dropped its charges against Hughes, the draft of the new law would appear to restrict the banners he can hang from the Hanna Lane warehouse. It defines banners as temporary signs that must receive permits, fit size requirements (smaller than Hughes’ banners have been) and be removed within 60 days. The current Beacon code is nebulous in its definition of what constitutes a temporary sign as well as in the length of time one can be hung. The revised law would distinguish more clearly between prohibited signs and ones that could be placed in certain zoning districts. 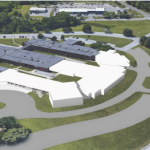 The council discussed the proposal briefly during its June 11 meeting, although members Amber Grant and Jodi McCredo objected, saying the council had more important issues to address, such as its ongoing zoning review. 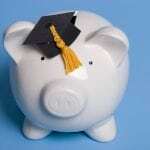 “I don’t know why we’re talking about this before those things,” Grant said. One Response to "Signs of Change"
Instead of busting chops about a sign, where is the concern about all the major development in the area?